StopPiracy: A letter to share . . .
A letter to share . . .
. . . when you have come across illegal pirating activity within a group (or an individual) and you want to address it. In an effort to educate before accusing, I would like to make you aware of the following information about copyright. 1. It is illegal to distribute the work of another -- even if you obtained it without purchase. 2. It is illegal to claim the work of another as your own. 3. It is illegal to use the work of another without permission to create new work with the intent to distribute. This includes fonts that have not been purchased for commercial use, images that are not yours or that you do not have rights to, and in some instances, creating work on a for-hire basis. Digital artists are tired of having their work stolen and illegally distributed, and they are standing together to fight it. Don't let yourself become part of a law-suit just because you weren't paying attention. Ignorance is no excuse. 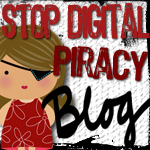 If you HAVE participated in pirating, stop now. And spread the word.